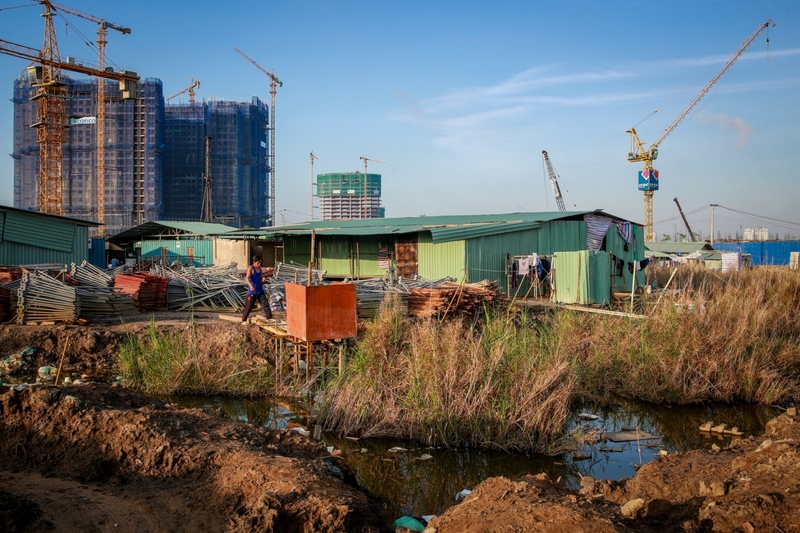 VnExpress International went out to talk with the builders working on what is heralded as Southeast Asia’s financial hub about life on the site. 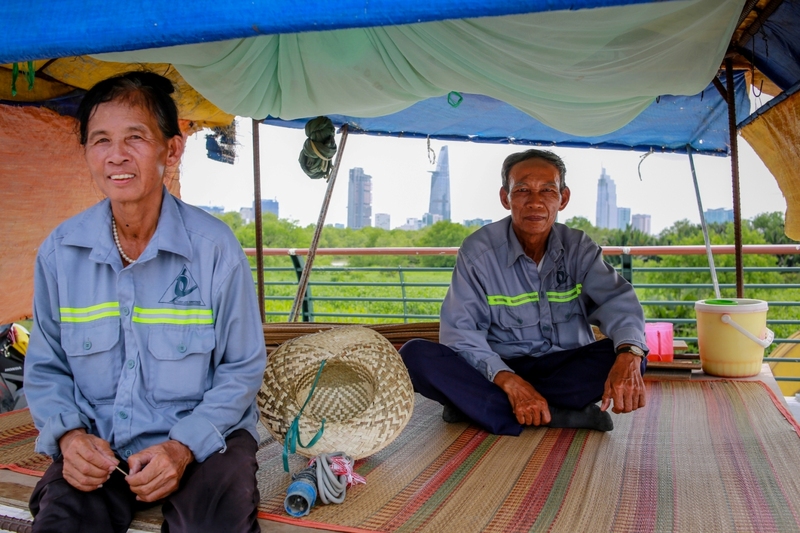 Le Van Hai, 68, was a soldier who fought on one of the fiercest battlefields of Binh Tri Thien during the Vietnam War decades before he took a job as a security guard in Ho Chi Minh City’s most vibrant construction site on Thu Thiem Peninsula. “Since the war I have heard Saigon being referred to as the ‘Pearl of the Far East,’” Hai recalled while sitting in his ramshackle bamboo and canvas hut under the burning midday sun. “But I have only started to see it now,” he added, gazing at the half-built new urban area. 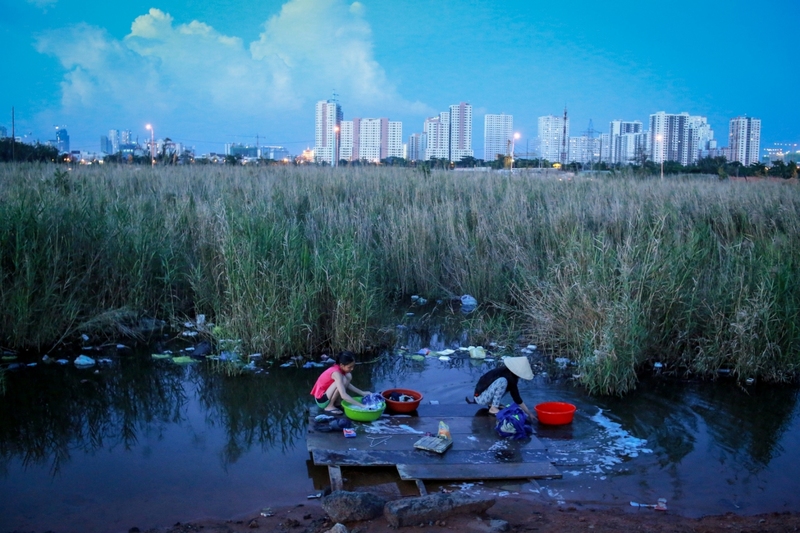 When Hai left the city for the first time in 1975 after the liberation of Saigon, this area was a vast swamp. 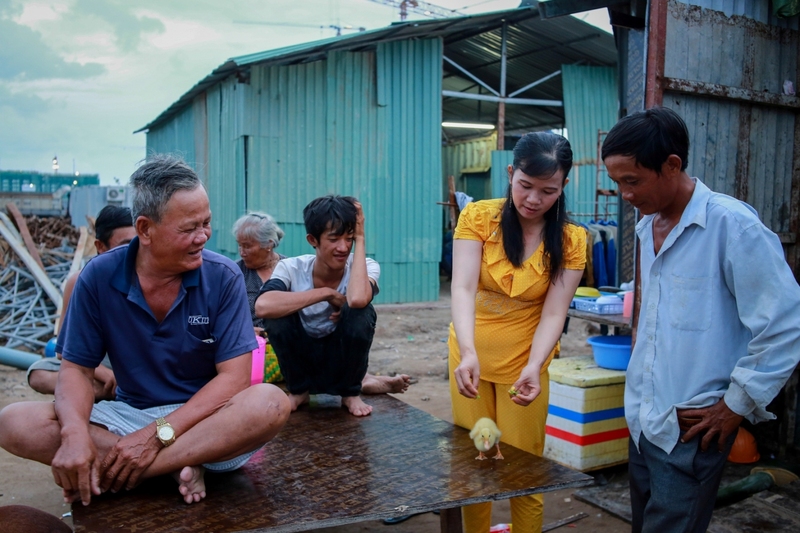 In 2013, back in his hometown in the northern province of Thanh Hoa, the veteran heard the name of the peninsula again, but with the promise of jobs from the new projects emerging on the ground. Hai packed his bags and left for the city with his wife, Nguyen Thi Loan, 56. 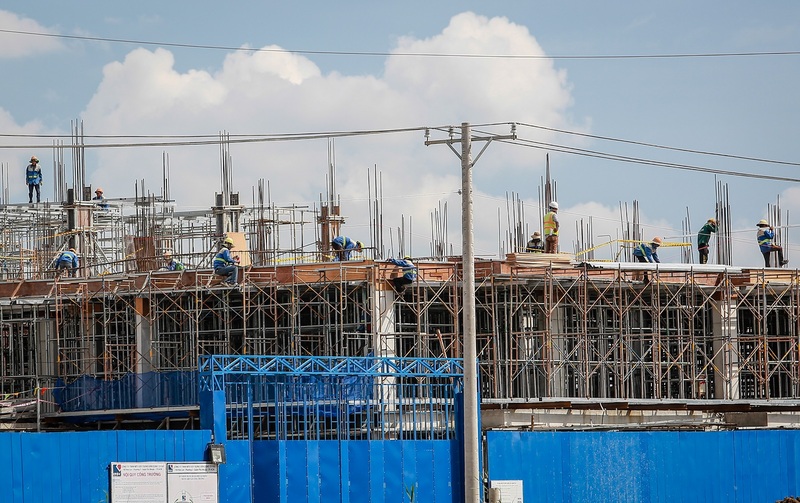 Hai’s military background helped both of them get security jobs on the construction site with a salary of VND6million ($264) each per month. They have to guard around the clock as the area is notorious for shoplifting and theft. 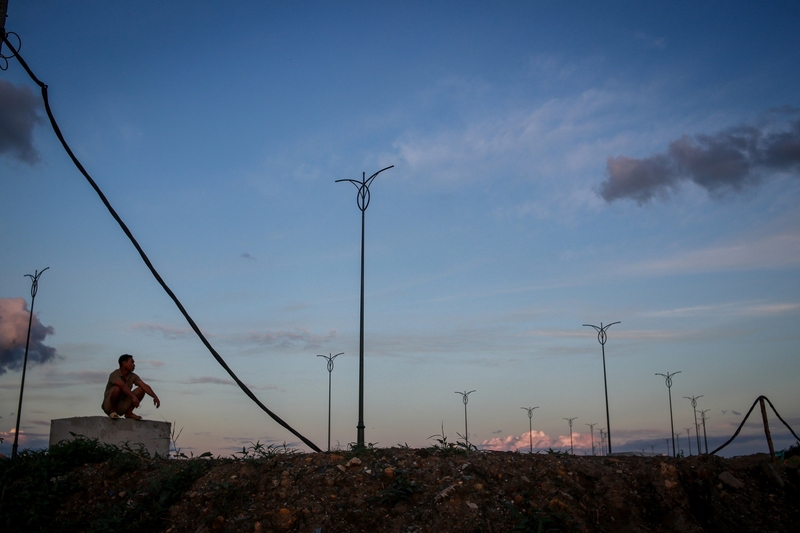 (Photographer Thanh Nguyen’s bike was stolen while we were making this photo essay). 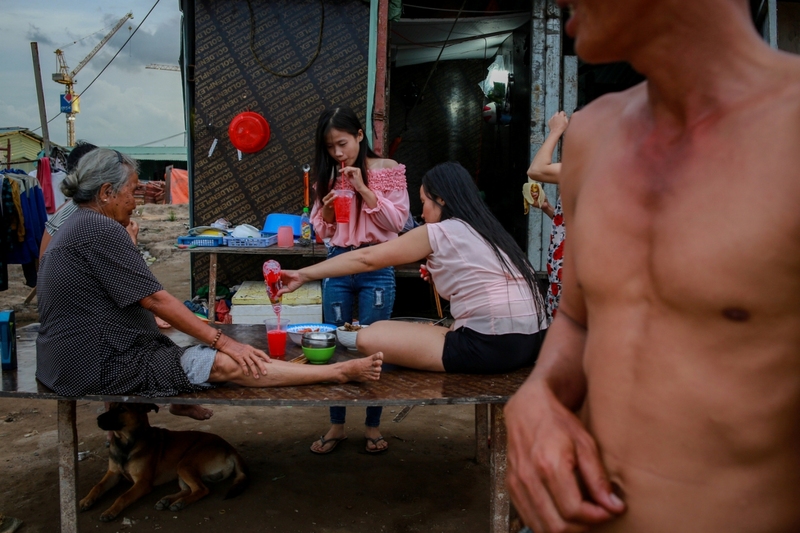 Le Van Hai and his wife Nguyen Thi Loan take a rest in their hut. 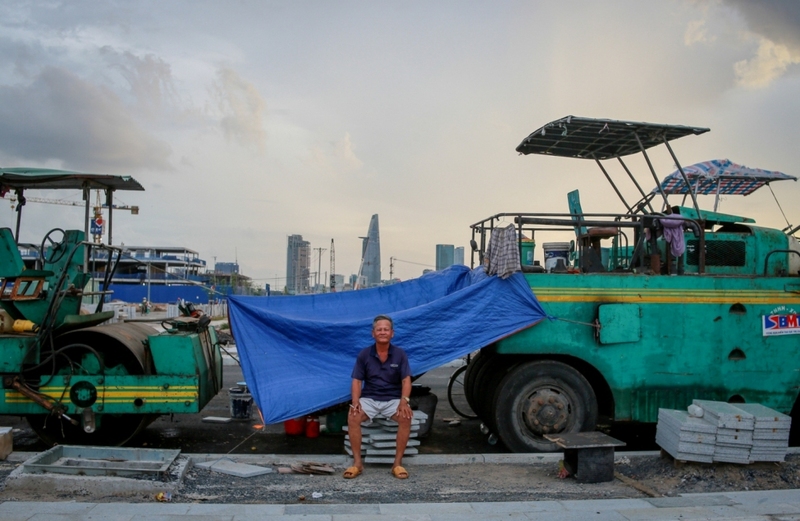 Behind them is Saigon’s central commercial hub of District 1, which is only 1.5km from Thu Thiem. The rapid change started at the turn of the century when the 657-hectare (1,623-acre) area in District 2 was chosen to become one of the biggest international financial and commercial centers in Southeast Asia. 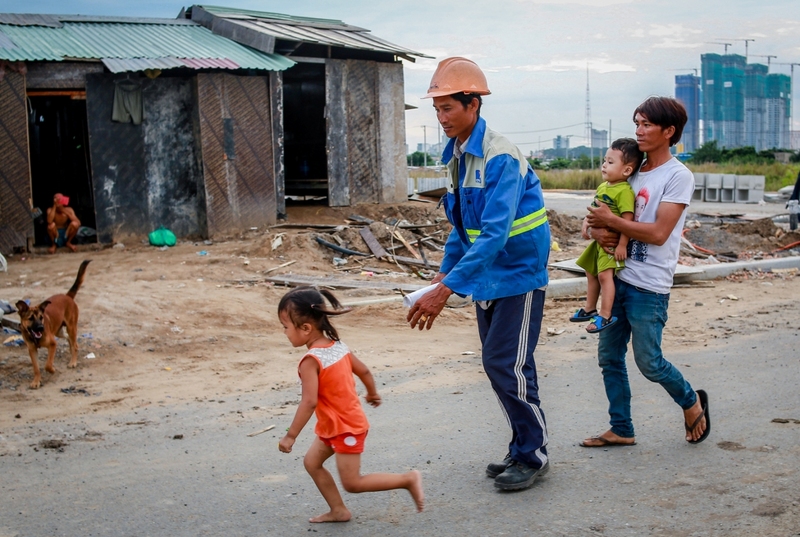 In the years since then, VND30 trillion ($1.32 billion) has been paid to relocate 15,000 families. In 2015, the city announced a joint investment of $2.2billion with Japanese and Korean companies to build a new urban area on the peninsula. 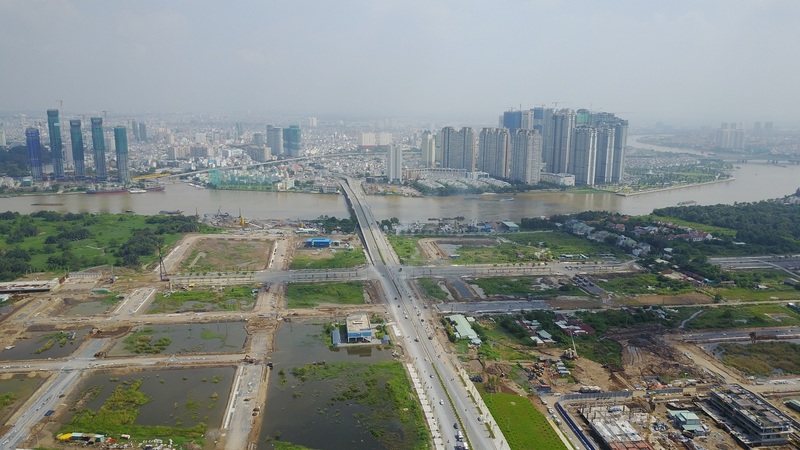 What followed were proposals for multi-billion-dollar real estate projects with property prices as high as $3,000 per square meter, according to a 2015 report by CBRE Vietnam, one of the world’s largest real estate consultants. The swampland the Division 304 veteran remembered is set to become the city of 10 million people’s new center by 2025, according to the development plan. But Hai doubts he can afford a piece of “the city of dreams” in Thu Thiem, as many people have dubbed it. When asked about his own dreams, he seems to regret his previous decision. When VnExpress International asked other builders on Thu Thiem about their futures and happiness, and how they imagine the city when the transformation is complete, they too seemed uncertain. “Dreams? I don’t know. I don’t even know where my future is heading. 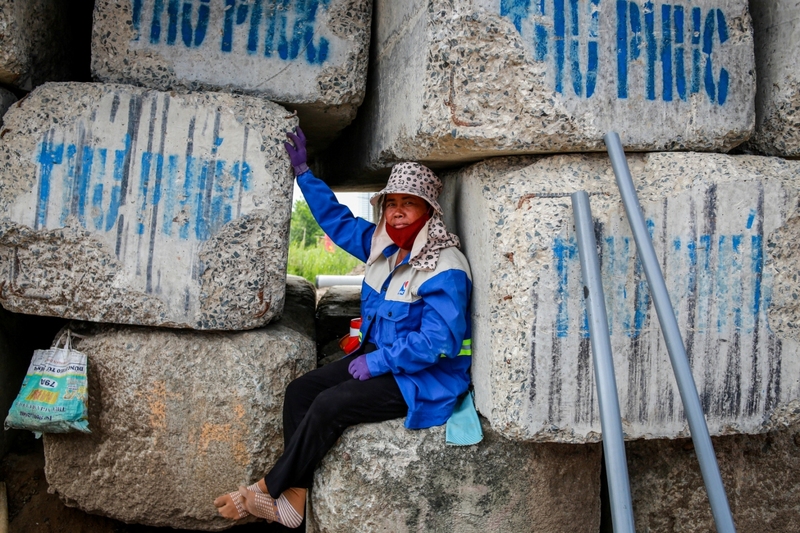 This construction job is just temporary, and basically I am still unemployed,” said Trong, 22, from the central province of Ha Tinh. His hometown was struck by a massive environmental disaster in 2016 that caused thousands to lose their jobs. She earns VND200,000 a day. 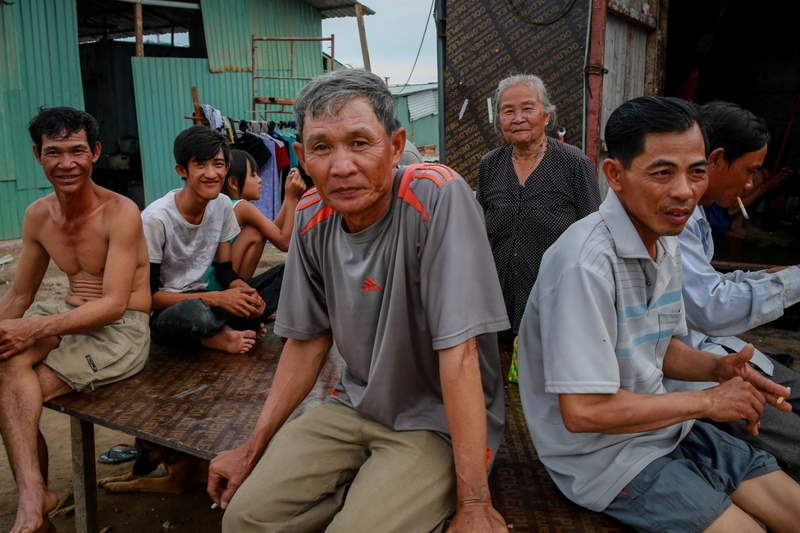 An extended family from Can Tho City live in a hut in the construction zone. 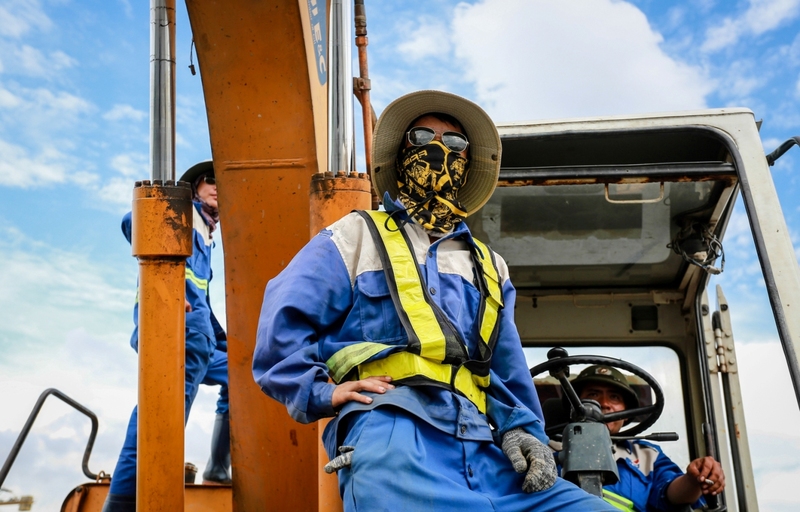 Over the past two months, a number of new projects have broken the ground in Thu Thiem, drawing workers from the Mekong Delta. “I have no idea what the new city will look like. 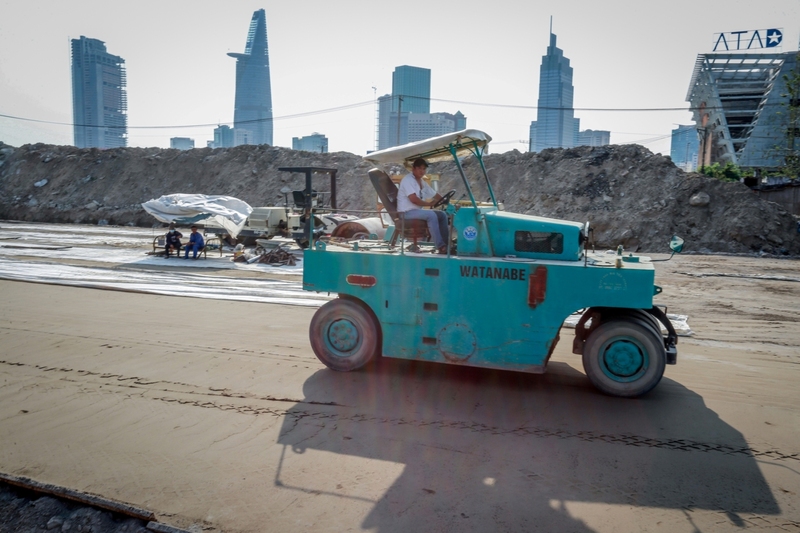 All I can see now is that everything is so expensive and that there are so many thieves in this bad neighborhood,” said Le Van Nhanh, 63, who has been guarding bulldozers and other equipment on the site for the past six years. “My happiness? It comes from spending time with my daughter after work,” said Nguyen Dien, a construction worker, while playing with his kid. Hygiene is an issue in the camp. The rusty box in the photo is an open air toilet installed behind the huts and next to a trash site. The groundwater on the peninsula contains high levels of alum, so these families have to resort to small ponds of standing water to bathe and wash their clothes. Dinner on the construction site. 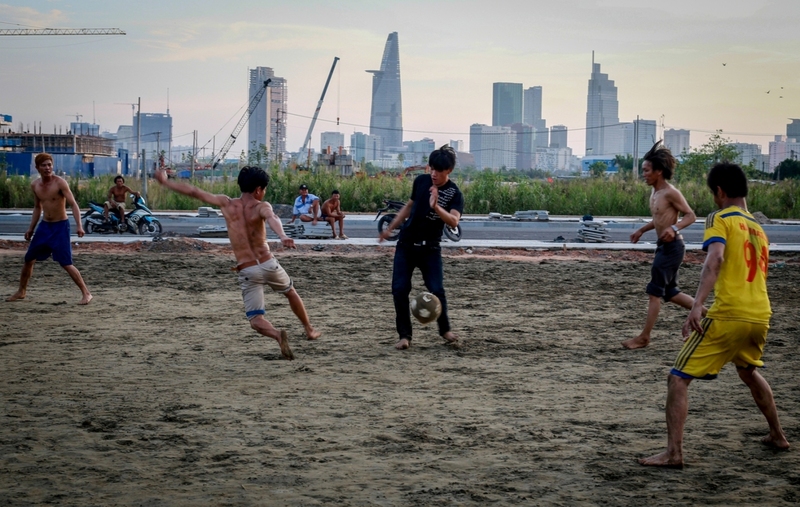 Workers play football at the end of the day. With an average salary of VND6-7 million per month, it is not easy for them to find affordable entertainment in the southern metropolis.